I had thought publishing Golf in the Wild was the end of a long journey but it turns out it was just the beginning. The slow, arduous distribution and PR process has already introduced me to some very supportive people from out-of-the-way places. 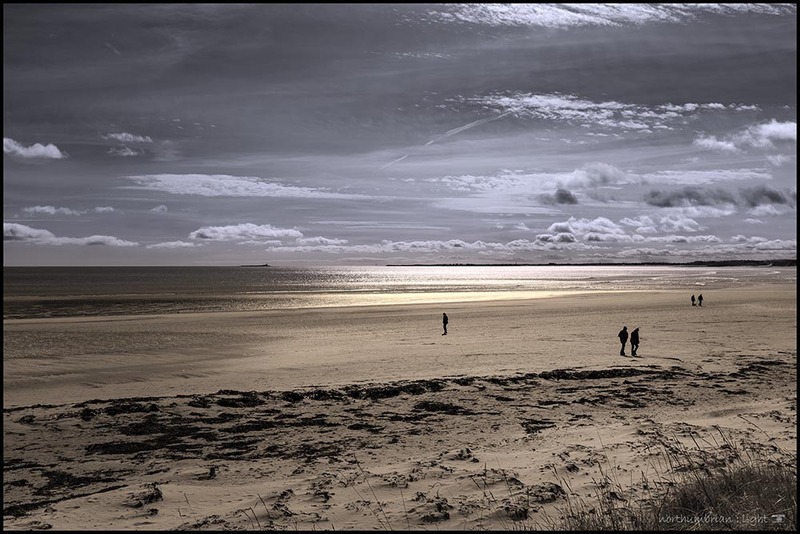 Last weekend the good men of Traigh (see chapter 7) visited Allendale and were as enthusiastic about our course as I am enthusiastic about theirs. 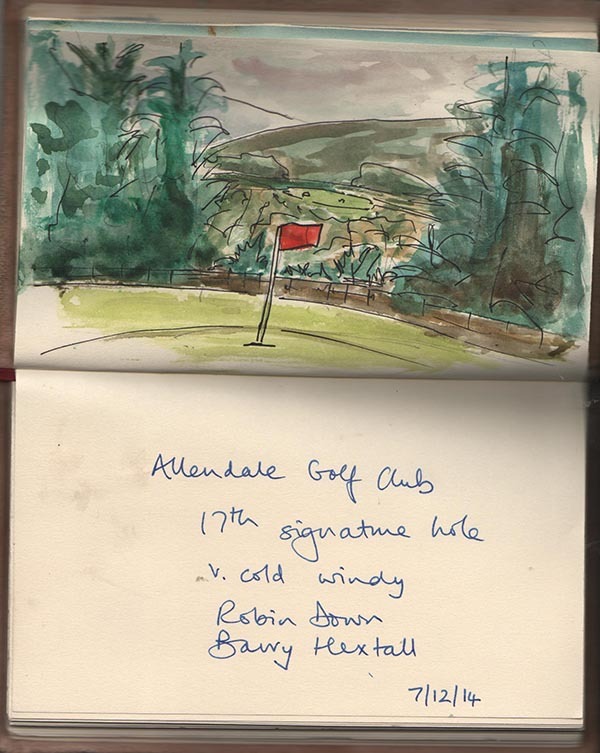 David Shaw Stewart produced an impromptu watercolour of Allendale’s signature hole, the 17th – Grand Canyon, in celebration of a grand, if windy and cold day out. I am proud to be mentioned and wish I had the talent to reciprocate. After several months of waiting around for promised responses from publishers – they never did – I am making steady progress towards self-publication. Finding an organisation that is informed, responsive, helpful and UK based has been a trial but they do exist, or at least one does. I am about to start detailed layouts with InDesign CC, I will finalise the text for the umpteenth time and worst of all I need to decide on the photographic content. When researching many of the courses I only got one opportunity for photographs and if that day was dreich, as it was at Durness, then the results could be less than satisfactory. 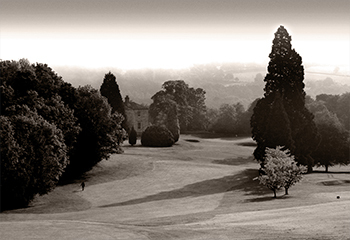 This is one image that will definitely not appear in the book, simply because the course doesn’t – it is Hexham one bright but misty morning in June 2012. 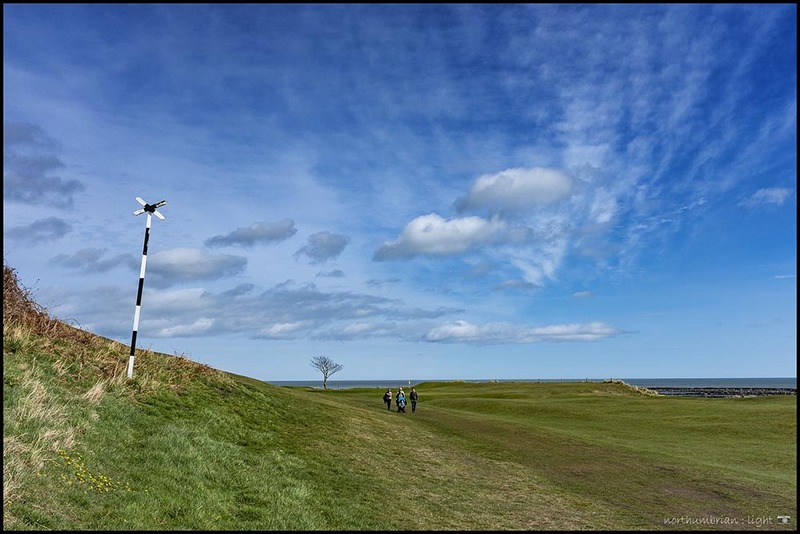 Commissioned by the Newcastle Journal to photograph Great Golf Holes of the North, it was possible to respond immediately once the weather conditions were ideal, the course being five minutes from home. Just popping back to Durness when the weather bucks up is not an option. I have some green credentials having been closely associated with the installation of the wind turbine at Allendale Golf Club, but the truth is that I am more Jeremy Clarkson than James Lovelock, more Ghia than Gaia. The journey from green to tee is therefore central to this book, satisfying a desire for both open fairways and open roads. The journey north becomes progressively more spectacular such that between the Vernal and Autumnal equinoxes it is a journey into the light. Put your foot to the floor and enjoy the ride. The recommended route tries to avoid motorways, dual carriageways, and major conurbations. Do not use a satnav, get out a folding roadmap, best suited for examining, unfolded, across the warm bonnet of a rag top or hot coupé. An interesting fact – taking into consideration all of the detours, the overall route is in the region of 727 miles and forms one part of a figure eight. A return trip via Thurso, Strathendrick and Dumfries & Galloway would form a pattern worthy of Torvill and Dean. 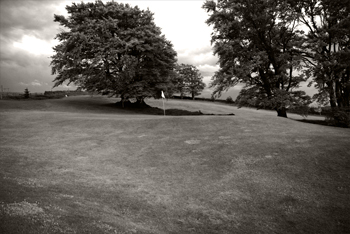 As a taster I will use this blog to publish occasional golf course pictures which will not appear in the book – this is Allendale’s second/eleventh approached from two different tees. Named Penny Black on the front 9 and Penny Red on the back 9, it pays homage to Troon’s Postage Stamp. The picture of gentlemen golfers putting out is from the course at Broadwood Hall, probably taken not long after the club was formed at the turn of the last century. The farm buildings in the background, which still exist today, are at 955 feet, a slightly lower altitude than the current clubhouse. Thornley Gate was just down the road from Broadwood Hall and even Portgate Links near the town centre was well above 800 feet. Golf at these altitudes is always testing. 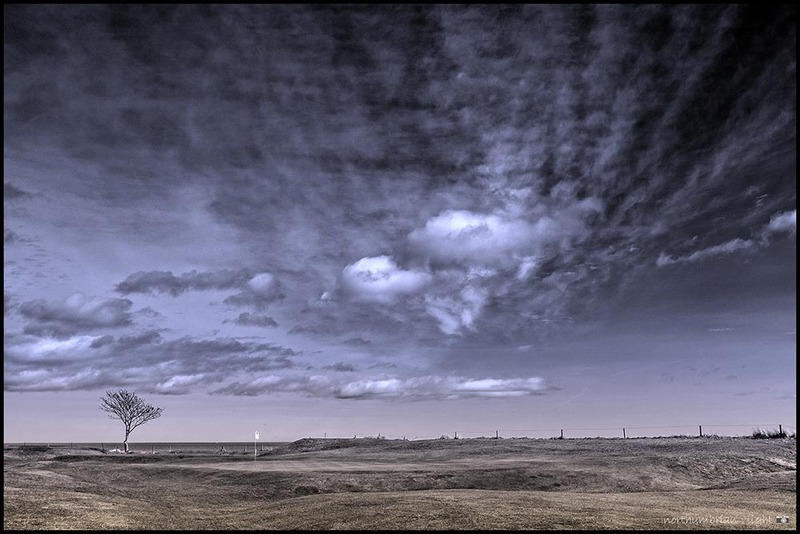 Consequently, Allendale golfers have always been obliged to play the elements as well as the course and it is evident as soon as you arrive at High Studdon that the present day course is no exception.